Hello friends! I have been purchasing many many products now. Yesterday, i purchased few products which i am excited to test it out. Two lip products, two face products and a mascara. 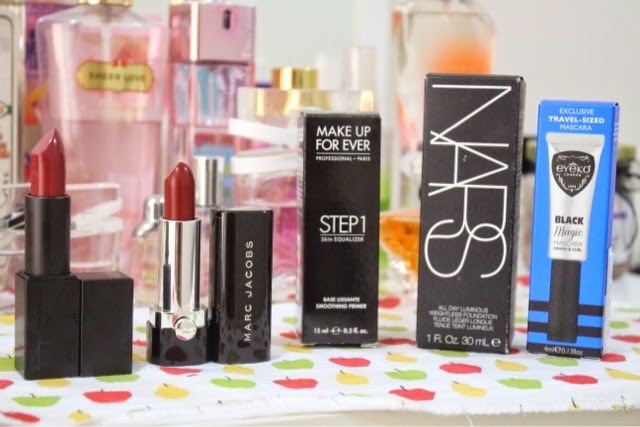 Two Nars and others are from Sephora. I just love looking onto lipsticks now. I used to hate wearing lipsticks because it chapped my lips quite badly but probably these expensive ones wont do that to my precious lips. Haha. I purchased two red lipsticks. 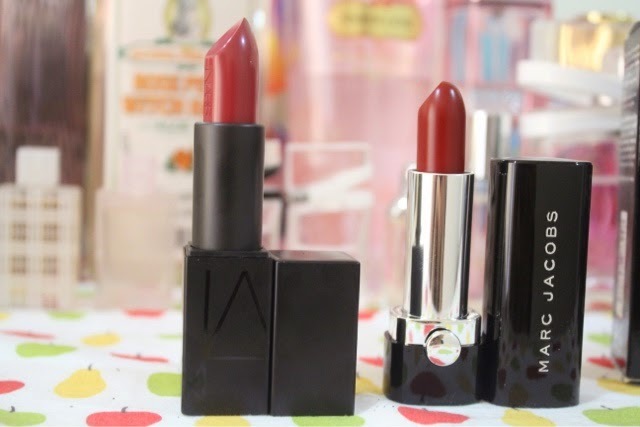 One is the famously NARS Audacious Lipstick in Audrey and the other one is the Marc Jacobs lipstick in Showstopper. Been loving deep dark red - berry color nowadays. 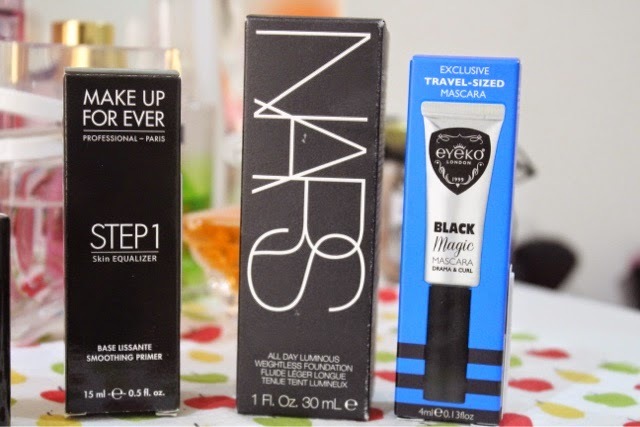 The other three products would be MUFE Step 1 Base Smoothing Primer, NARS All Day Luminous Weighless Foundation and Eyeko Black Magic mascara. Both Eyeko and MUFE is a sample / travel friendly size which is perfect for me as i love to test it out first before purchasing the actual size products. Well, do let me know which products do you want me to review first!